Along with the rest of the club music fraternity (or so it seems), we’ll be in Amsterdam this week. Some great shows going on, and we might even take a meeting as well! So if you want to have a chat, drop Matt or Rob a note/call/carrier pigeon. Just back from Tisno, another absolutely belting installment of the Garden Festival.. Huge thanks as ever to Nick, Eddie, Charlotte, Gail, Petra, Damo, Dave and all the festival family who made it such a great few days. Also great music from Greg & Marco, Tom & Bonar & Justin V, plus: high fives to Rob, Cecilia, Scandinavian/NYC rave squad, Ben UFO, Dan, Matt & R$N steppers, Duncan, Tiago, team Paqua, the sound guys, the dancers and everyone we met, hugged, tripped over along the way! The Garden Festival is back in 2014, with a typically heavyweight line-up. The Boat party tickets go on sale next Monday (March 17th) at Midday, so if you want to get on board with our voyage, be very prompt! Just back from a brilliant Glastonbury, superb weather, lovely people and top music. Thanks to everyone for having us down, Greg, Maurice, Bill, Psychemagik, PBR Streetgang & Soft Rocks all smashing it throughout the weekend, Big mentions especially Carl at Stonebridge, Nick at Beat Hotel, Gideon & co at Block9 & the Crack team! Maz, Team Johnson, Simon Whitehead, Cecilia and everyone else! Next up is another group outing – The Garden Festival Tisno… We look forward to this weekend probably like no other, and a great crew heading over this year. Catch Greg Wilson, Eric Duncan, Matty & Ben on the Pool boat party on friday, with Tiago, Justin V and Eric again doing the business in Barbarella’s the same night. Greg, Young Marco, Psychemagik, Maurice Fulton, PBR Streetgang all spin during the course of the weekend. full lineup below – raving on the beach!!! 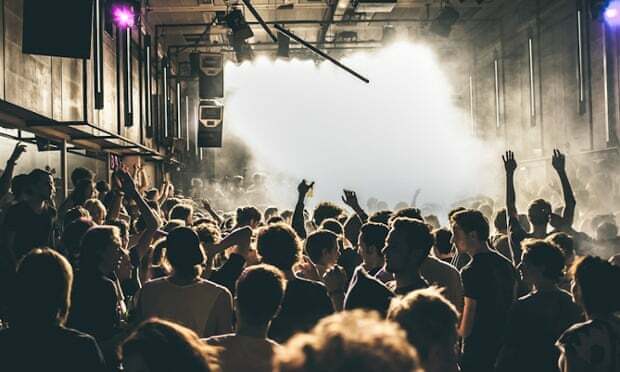 Sonar is fast approaching, so here’s a little round up of the off Sonar parties we suggest you check out if you’re in town… Young Marco, PBR Streetgang, Bonar Bradberry all representing. Also the Todd Terje x Lindstrom all conquering live show rolls into Barcelona – so don’t miss that at Sonar by Day. Closing set on the Thursday night. We’re back at Dalston’s favourite basement for a Heavy weight double helping of European talent. HUNEE & YOUNG MARCO will be working that system to the bone amongst the smoke & strobes on Friday May 24th. Very excited to bring the Berlin & Amsterdam flavour to Dalston, with a couple of serious serious record collections. House in all its forms, huge slabs of disco, techno, jack trax, & weirdness = heads down hands up party. Support from The Pool crew Ben Terry & Rob Needham. Amsterdam native DJ, producer and certified dude YOUNG MARCO has been on the forefront of the city’s bustling underground scene for nearly a decade. Coming up through several now infamous residencies, he quickly gained notoriety for his genre-defying and ballsy DJ sets with a unique take on dance music, playing everything from lost proto-house and raw jaktrax to Libyan disco anthems. After releasing several records on Rush Hour he soon found a home on Lovefingers’ ESP Institute where he continues to craft his signature zonked out house sound filled with broken drum computers and uncool 90’s new-age synthesizers. His releases are already becoming sought after collectables, which are getting support from heads like Dixon and James Murphy. His growing number of remixes range from fellow ESP heads Soft Rocks and Michael Ozone to Afro legend Francis Bebey with many more in the pipeline. Shouts to… mixed grills, mouth-wash apéritifs, 24/7 christmas decorations, spinal tap heating, whiskey currency, ebay chalet buyers, more mixed grill, blizzards, Bob Sinclar mountain bird cancellations, Moldovian border control, goats, motorhead bar, pot holes, donkeys, heavy pain killers, wizz drivers, Wizz air, wizz baggage handlers, sgt Gung-Ho and Angie, Bobby Soft Rocks and Jo, Young Marco, Dunks, Needham, the mountains and all the lovely Horizon crew of course.